Indian Navy MR Admit Card 2019 – Indian Navy has issued the Indian Navy MR PFT Admit Card 2019 For Oct Batch on March 22, 2019, at joinindiannay.gov.in. The admit card for the physical fitness test has been issued to all the qualifiers of stage I examination to held from February 23 to 25, 2019. 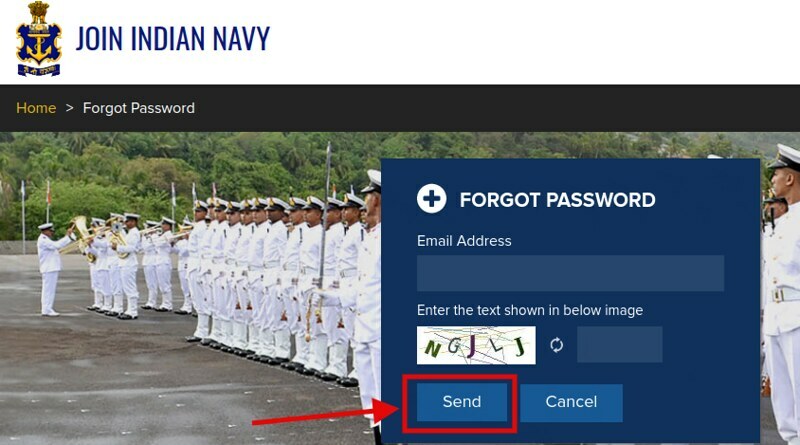 For fetching the Indian Navy MR Call Letter 2019 candidates have to enter the email id and password. A direct link to download the admit card is given on the page below. The only mode to download the admit card is online apart from that no other mode is available to download Indian Navy MR Admit Card 2019. Get here full information regarding Indian Navy MR Admit Card 2019. Latest: Indian Navy MR Admit Card 2019 is available to download. Scroll down to get the link. Indian Navy MR Admit Card 2019 is the key to enter in the examination hall. For all the candidates it is mandatory to carry a hard copy of the admit card on the day of the Indian Navy MR Examination 2019. For for information regarding Indian Navy MR Call Letter 2019 check the schedule given below. Admit Card: Click here to download the Indian Navy MR PFT Admit Card 2019. The candidates who have qualified the online examination and shortlisted for the Physical Fitness Test (PFT). For the shortlisted candidates, only Indian Navy MR Admit Card 2019 For Physical Fitness Test (PFT) has been issued at the official website. Candidates can follow the steps given above for downloading the admit card. How To Download Indian Navy MR Admit Card 2019 For Oct Batch? Thereafter login page appears on the new screen. Fill the login credentials at the login page i.e. email address and password. Click at the download option for downloading Indian Navy MR Admit Card 2019. 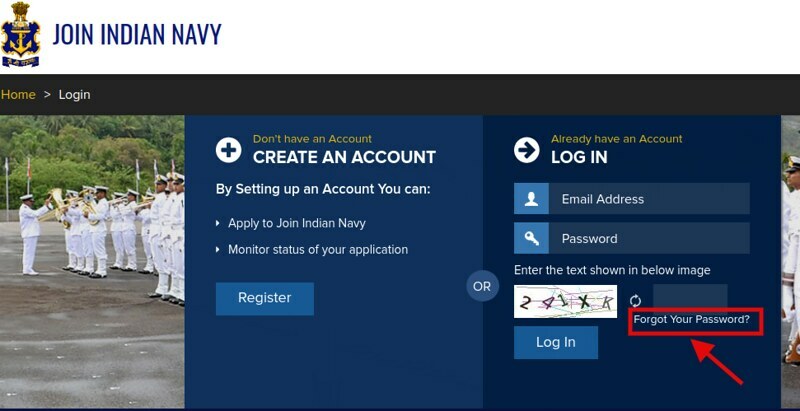 How To Download Indian Navy MR Admit Card 2019 If you Forget Password? In case candidates have forgotten the password, then they can retrieve their password from the same link which will be used in downloading the admit card. What To Do If Unable To Download Indian Navy MR Admit Card 2019? In case any candidates fail to download his/her admit card for some technical issues other than internet connectivity. Then he/she has to contact the Indian Navy immediately. 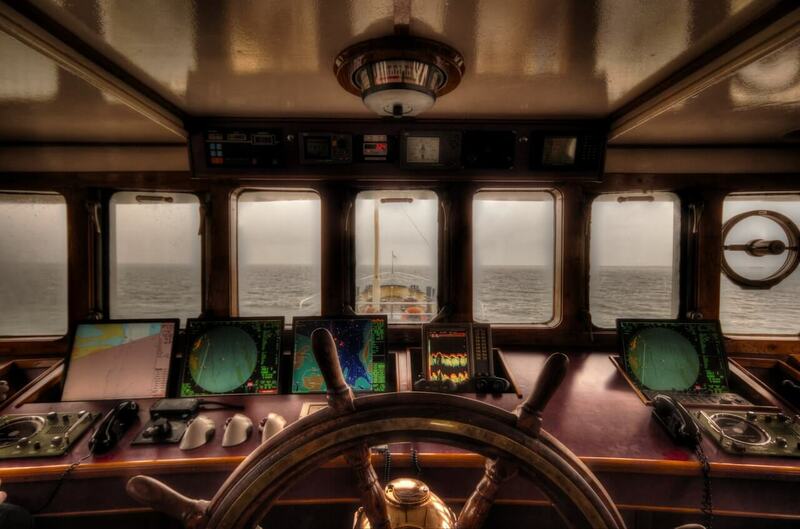 The candidates can contact the navy via two modes. navy has provided the email id and helpline number. Hence the candidates can call on the number except for Sundays, or can write their problem. After downloading the admit card candidates should check the details mentioned on it. If the admit card is containing any false details then immediately contact the releasing authority of the admit card. From below candidates can check the details which will be, mentioned on the Indian Navy MR Admit Card 2019. What To Carry on The Day of Indian Navy MR Examination 2019? Candidates need to carry the below mentioned documents. If the candidates will not carry the below-mentioned documents those will be not allowed to appear for the examination. Indian Navy Matric Recruit (MR) 2018 Selection Process of recruits is based on the order of merit on their performance in Online Test, qualifying Physical Fitness Test (PFT) and fitness in Medical Examinations. From below candidates can check the details regarding the Indian Navy Physical Fitness Test (PFT) 2019. Candidates undergoing PFT will do so at their own risk. Qualifying in Physical Fitness Test is mandatory for selection. Advisory Note: Proficiency in sports, swimming and extra-curricular activities is desirable. The Navy has provided the syllabus of the Matric Recruit examination on its website. The candidates have to attempt the paper of 10th standard in the examination. For Online examination – As per candidates choice filled in application form. The candidates who submitted the application form before or till the last date for those candidates only admit card is issued. The admit card is available at the official website. The candidates who will not carry there call letter those will be not allowed to appear for the examination. Candidates can follow the steps given below for downloading the Indian Navy MR Admit Card 2019. This recruitment was commenced on December 18, 2019, along with two more recruitment of AA and SSR. The Navy opened the online application window for inviting the applications on 400 hundred vacancies. The candidates filled the form in time, those candidates are being issued the admit card for online examination. The candidates who are preparing for the next year examination process must have questions like, who can apply, where to apply? what is job profile? The scope of Job? Salary etc. Who can apply for Indian Navy MR? So as the answer of the above questions, the candidates who have passes 10th class between 17 to 20 year can apply. Where to apply for Indian Navy MR? For registering the candidates have to visit the official website of Indian Navy i.e. joinindiannavy.gov.in. The application form is being released twice a year. The candidates can apply for three posts Chef, Stewards, and Hygienist. Chef – To prepare food as per menu (both vegetarian and non-vegetarian including handling of meat products). Stewards – To serve food in the officers’ messes, as waiters, housekeeping, accounting of funds, wine and stores, preparation of menu. Hygienist – To clean toilets and other areas. Candidates may undergo various professional courses as per service requirement, and after the courses, the candidates are issued the certificate by various universities. Along with this, the “Graduation Equivalent Certificate” is issued after retirement. Salary – During the initial training period, a stipend of Rs. 14,600/- per month is provided. After selection, the salary of the candidates is Level 3 of the Defense Pay Matrix (₹ 21,700- ₹69,100) + MSP @ ₹ 5200/- per month plus DA (as applicable). As soon as there will be any news we will update you. Jb admit card ayenge hum apko bta denge. Bro swimming Ana compulsory hai ? INDIAN NAVY MR KA ADMIT CARD KAB RELEASED HOGA AUR EXAM DATE KYA HAI. Sir mr ka admit card kayo nahi Nikal Raha hai .end of January dikha Raha ta kab tak nikalega sir. I have 78% 10th ..i have any chances admit card.. plz..sir…. 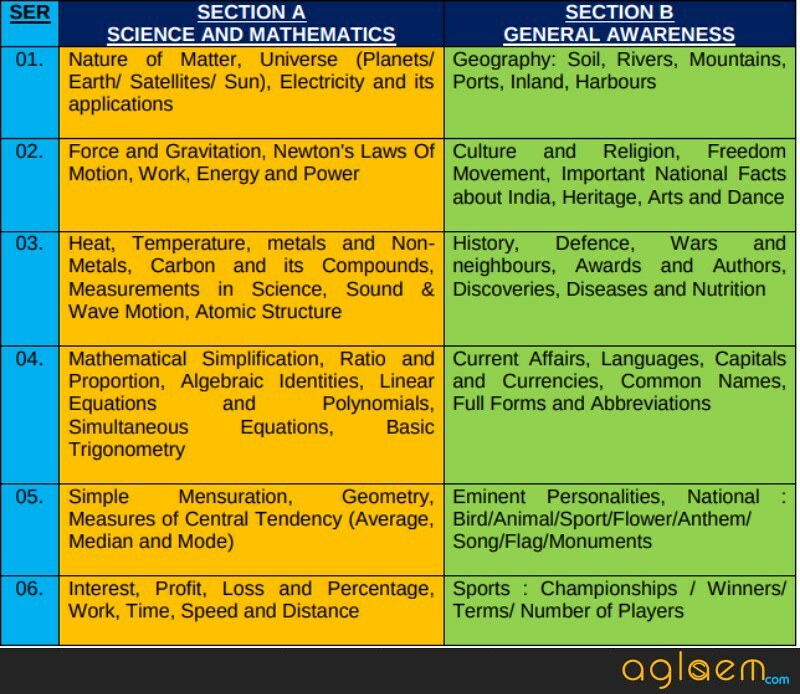 I have 78% in 10th cls ..Any chances admit card…. Most probably you’ll get it. As per the official notification of MR, The Indian Navy confirmed that the result of MR will be declared within the 30 days of examination tentatively. As per the official notification, Navy will release the result within 30 days of examination. Indian navy have many factors to be considered. Indian navy will issue the admit cards on various factors. Various factors will be considered for issuing the admit card. Physical test written test ke approx 2 months baad hota hai. Physical test written test ke near about 2 months ke baad hoga.